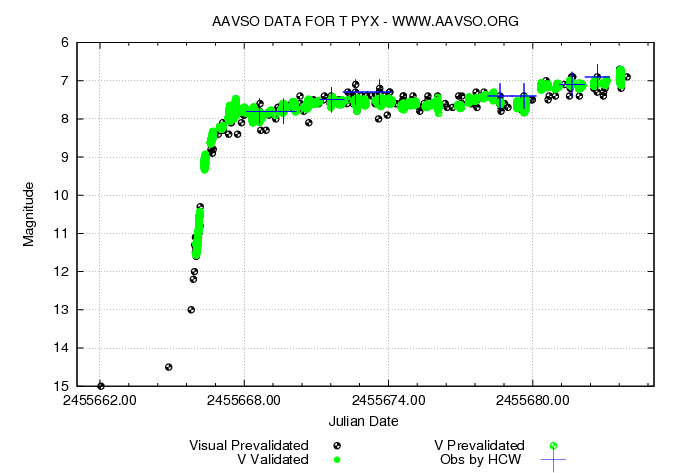 Last time we talked about the nova T Pyx it was holding steady around magnitude 7.4 and 7.7. Over the past few days T Pyx has resumed brightening and it currently around magnitude 6.7 to 7.0. If it continues to do as it did in 1966, it should brighten to around magnitude 6.3 over the next 3 weeks.